Students are usually panicking when the time comes for giving the GRE. They already have to deal with a multitude of projects, rising pile of assignments, and thousands of tests litter their desk. In such a state of rushing and running, preparing for GRE and cracking it successfully seems like a Herculean task. However, those who manage to get a great score on their tests are people who have managed to work, study, or do their usual routines along with the prep. This goes to say that it is important to control the exam rather than letting it control you. There are several classroom programme GRE courses offered by the esteemed institution which can help you reach your potential and maintain your cool during the exam. Preparing for an exam like GRE requires more of qualitative studying than quantitative studying. Taking a lot of pressure and stress will not help you crack verbal and quants, it will add on to your misery. Take the GRE date which will give you ample study time. When you are relaxed about the time difference between your GRE date and your semester exam dates, you can prepare without any stress for GRE. Plan your GRE dates carefully before sitting down to study for the exam. Take a sample test to help you understand where you stand. This test must be taken seriously in your GRE classroom programme. 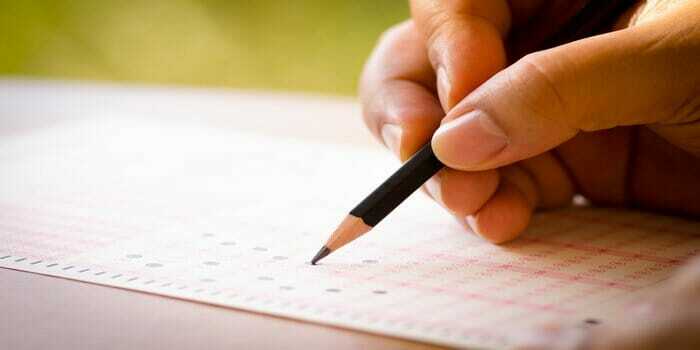 This test is an indicator of the level at which you stand and what preparation you need to crack the exam. Your strength and weaknesses can be assessed with these exams. You can say that quants in GRE are highly dependant on what you have studied in middle school rather than your high school or undergrad. Quants are basically 7th-grade mathematics which includes subjects such as statistics, geometry, probability, algebra, and arithmetic. Though it does not involve trigonometry and calculus, questions that involve triangles can be solved with very basic trigonometry. Solving many practice questions in addition to what is taught in class can help you gauge your weak points and focus your attention at those points. Data interpretation is tricky to solve. The questions usually have a variety of graphs that have to be solved using different techniques. They can seem very confusing and they must be practiced after the method to solve them has been taught in class. “Quantitative comparison” is another important topic that needs to be practiced regularly as they have a series of corner conditions which may be overlooked. Verbal reasoning judges your English speaking abilities and writing abilities. They include topics such as sentence equivalence, reading comprehension, and text completion. Reading comprehension is one of the tricky topics in verbal because the options to be answered seem rather convoluted and two options may seem like the correct answer. Practicing RC questions is important because the paragraphs are long and it is a time-consuming topic. You must ensure that you practice many more RCs after they are solved in class.